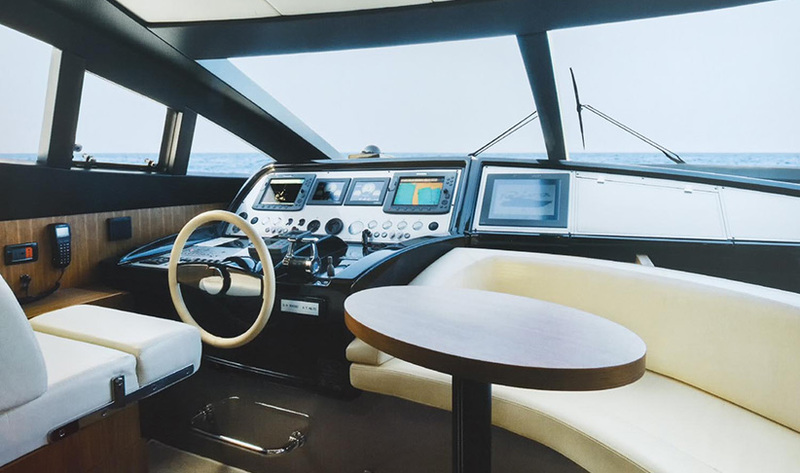 From the moment you step aboard the Riva Venere 75ft yacht, you will be impressed by the sheer beauty of this charter boat, offering clean lines, contemporary interiors and an abundance of natural light that streams in from her wide windows. 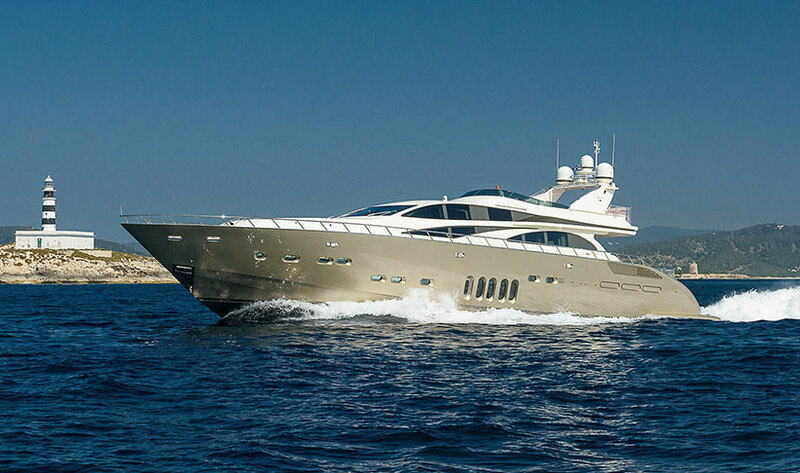 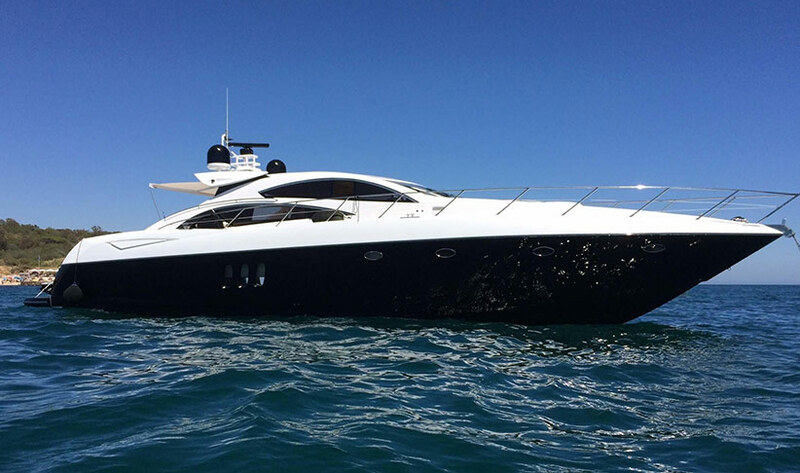 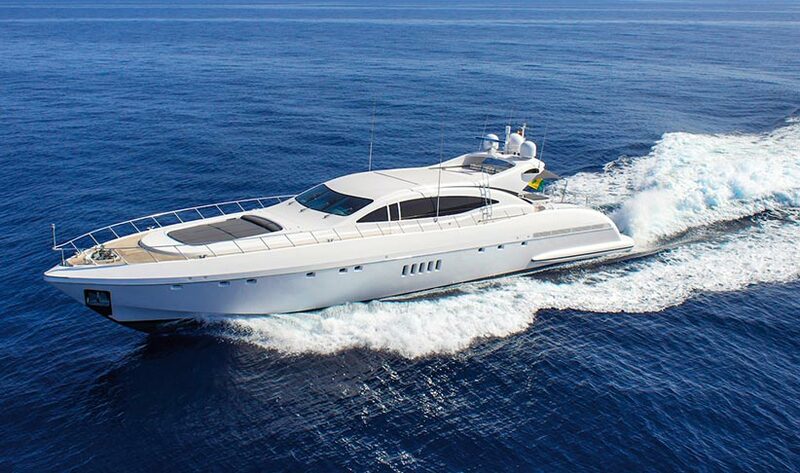 Berthed in Ibiza, Balearics Islands, the Riva Venere 75ft yacht is ready to welcome you on board during your holidays, easily accommodating 12 charter day guests and 8 overnight guests. 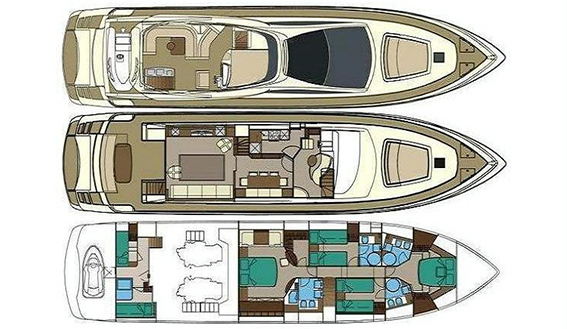 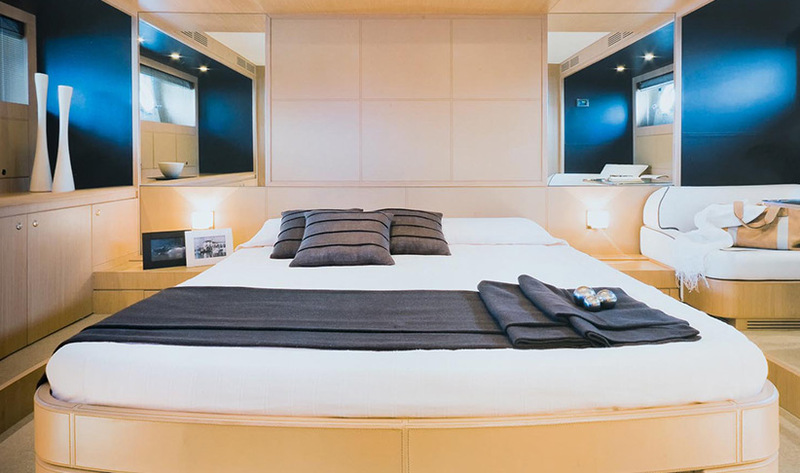 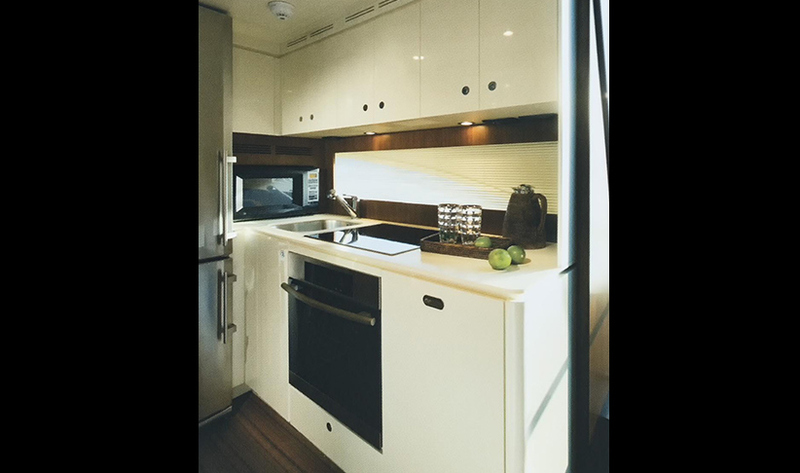 The full beam en-suite master stateroom is fitted with an office area, a vanity and a walk-in wardrobe, while the double VIP cabin and two twin cabins, all have en-suite bathrooms. 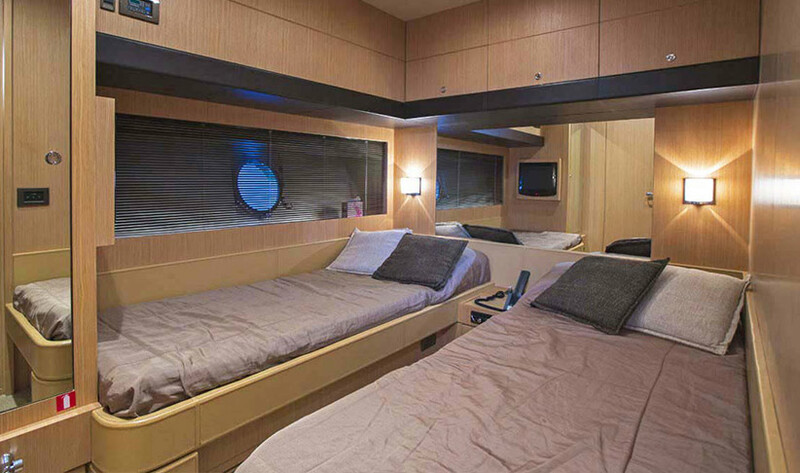 On deck there is plenty of space for all. 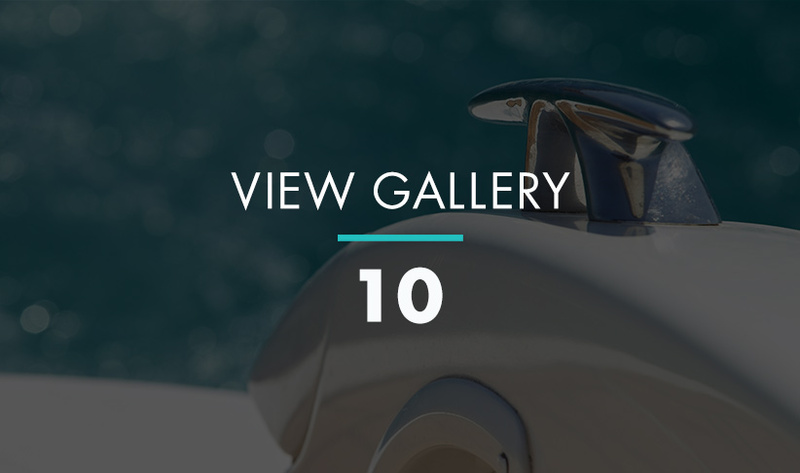 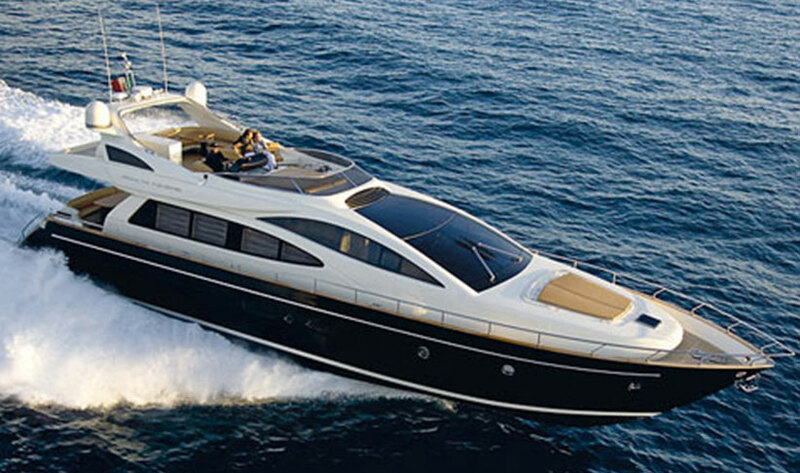 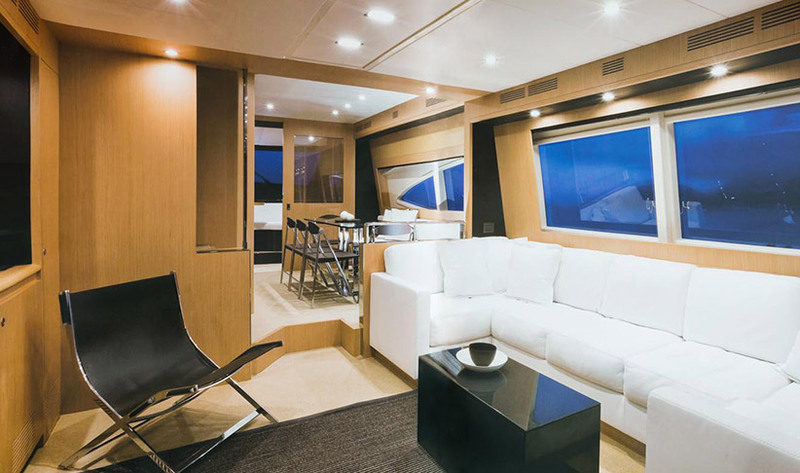 The large foredeck with sundeck area offers the perfect spot to relax and enjoy the views of Formentera. 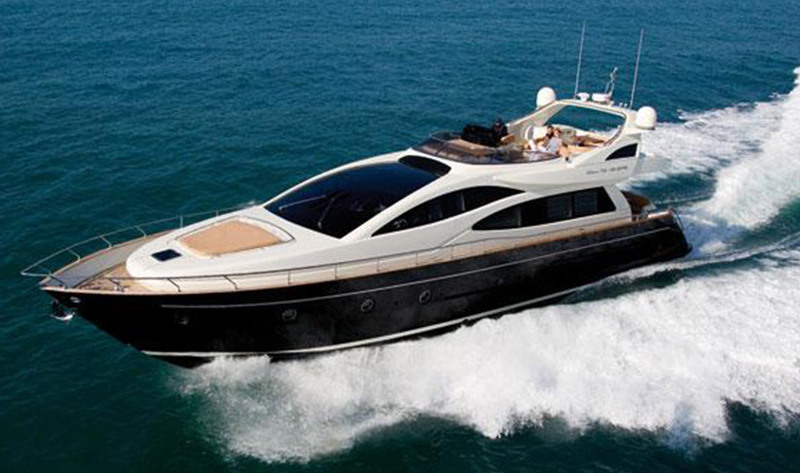 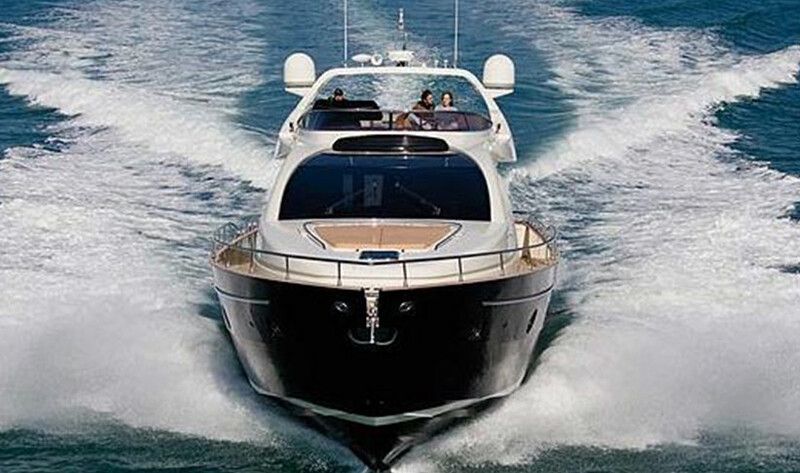 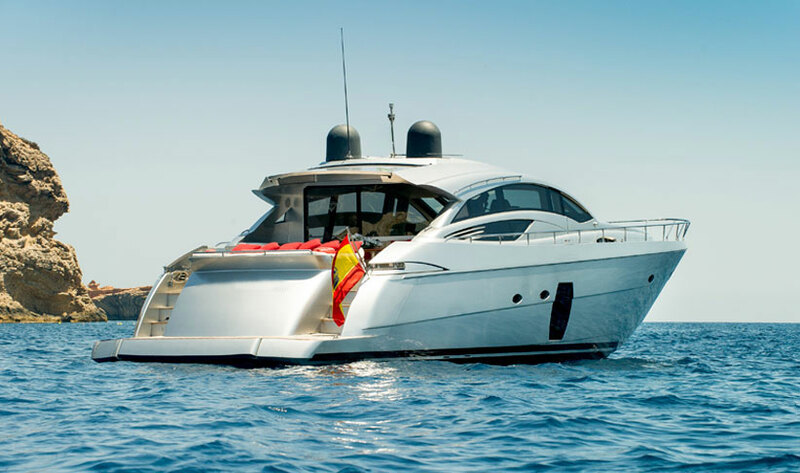 On the top deck you will find a stylish, contemporary flybridge to be envied, with with plenty of comfortable sofa seating to allow you to sit back and enjoy the best views of the balearics as you cruise the shoreline of Ibiza. 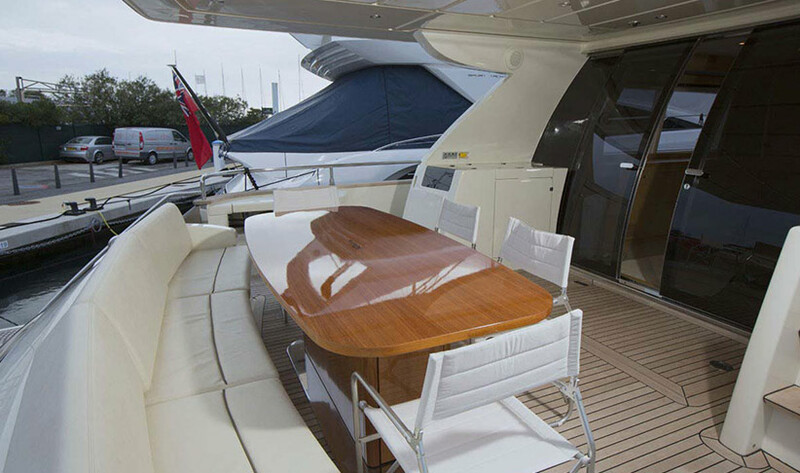 The aft door on the lower deck leads to an outdoor dining area offers superb views just at the sea level.